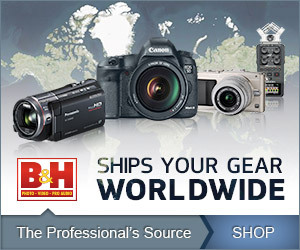 I love mirrorless cameras, and I’m happy to see more and more of them on the market. There are all types now from mid-level to ones with all the bells and whistles. Of course, there are entry level ones for people just starting out as well. One such model is Fuji’s new X-A5. Looking purely at the specs, the X-A5 seems to offer quite a lot for it’s asking price of $599. It not only promises faster autofocus than its predecessor, the X-A3, it comes packed with a 24 megapixel APS-C sensor. In addition, it’s included optically stabilized XC 15-45mm f3.5-5.6 OIS PZ lens equates to about a 23-69mm giving its user a lens that covers a lot of ground. So, how does the X-A5 perform in actual use? Well, I had this camera on loan for a bit, and here are my thoughts on it. (If you’ve been on my site before, you probably know some of my reviews are longer than this one. This is a shorter review than I normally post). So, let’s start off with the overall design and build. Fuji have obviously done well with the retro theme, so it makes sense that they would apply it to the X-A5. The X-A5 is a rather attractive camera in person. It has that retro-rangefinder look going for it, and it even comes in three different color combinations: silver/black, silver/pink, and what you see here, silver/brown. 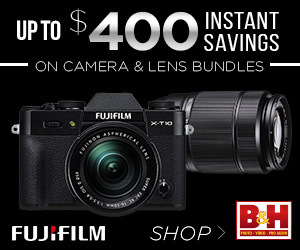 ↑ The Fuji X-A5 with the XC 15-45mm f3.5-5.6 OIS PZ lens. While the camera looks all shiny and metallic, it is plastic, which isn’t necessarily a bad thing, and it shouldn’t be surprising considering it’s an entry level camera. The frame still feels stiff, and the dials for example, offer just the right amount of resistance. However, there is a slight hollowness to the X-A5. But one thing for sure is that the X-A5 along with the XC 15-45mm f3.5-5.6 OIS PZ zoom make a pretty easy all-in-one to carry along all day because at a total weight of just 496 g, it is the lightest camera-zoom kit lens combination in the X Series system. Adding further to the all-in-one theme is a pop up flash, and the zoom’s 23-69mm equivalent range, which should cover a variety of subjects. ↑ There is also a pop up flash. In addition, the Fuji X-A5 also comes with a touch enabled 3 inch tilting display that will even do a full 180 degrees if you’re into selfies. Rotating the LCD monitor automatically activates the Eye Detection AF helping you to take a better selfie. There’s also a three step Portrait Enhancer Mode that can improve skin. Looking at the photos here, I obviously did not use the selfie mode much :). ↑ There is a tilting display. The LCD monitor overall is decent, and it needs to be since it is the only way you’re going to be able to shoot. The X-A5 does not come with any sort of viewfinder. This is the one feature that I feel is sorely missing but at this level and price point, I can’t really fault the camera for it. I wasn’t even planning to bring it up but I can’t help myself :). I think it would’ve been really nice to see an EVF on the X-A5, and it should be something to think about for a beginner photographer who might be considering this camera. In terms of the overall layout of the X-A5 though, the design is simple and direct; there aren’t a ton of buttons that over complicate things. Changing shooting modes for example, is simple and intuitive. Scrolling through the menu isn’t too bad. I think this is important when we’re talking about the X-A5 because some users will just be starting out in photography. Therefore, you don’t want anything that is too intimidating. Even veteran photographers should appreciate the clean layout of the X-A5. ↑ Buttons and dials are kept to a minimum. ↑ The top plate’s layout is clean as well. Another feature worth mentioning is that the Fuji X-A5 does have Bluetooth. So, you can pair it with a smartphone or tablet using the free FUJIFILM Camera Remote app to transfer photos and videos. You can also control the camera remotely through the app. Lastly, you can connect the camera to FUJIFILM Instagram SHARE SP-3 printer as well. You can read my review of the SP-2 here if you want. Now, let’s talk about the overall performance of the camera. I’d like to start off with the autofocus. According to Fuji, the X-A5 is the first of the X-A Series models to feature phase detection pixels meaning it has a Hybrid AF system. The autofocus is also supposedly twice as fast as its predecessors. Now, I tried the X-A5 in many different situations, and I found the AF system to be okay overall. I wasn’t as impressed as I thought I would be. There are moments when the focus is fine, and quick enough. Good lighting helps. But the X-A5’s autofocus definitely has its sluggish moments as well. Furthermore, there were times when it had a lot of difficulty focusing in dim lighting. There was one instance when I was outside at night just trying to focus on the Manhattan Bridge, and the X-A5 just had a lot of difficulty with it. It didn’t want to lock on. The rest of the electronics are a mixed bag. Scrolling through the menu system feels sluggish, for example. However, start up time is as short as 0.4 seconds in high performance mode. Also, the X-A5 can shoot up to 6 FPS, which is decent for an entry level mirrorless camera. It’s worth mentioning that the battery life is very good too. A full charge can get you about 450 frames, which is actually better than its predecessor. The Fuji X-A5 also does 4K but only up to 15p. While some of the electronics are a mixed bag, I think one of the X-A5’s main strengths is with the images that it produces. The X-A5’s 24 megapixel APS-C sensor is not X-Trans like its more expensive siblings but nevertheless, it produces excellent results. Colors are beautifully rendered and images are tack sharp. Dynamic range is decent as well. In all honesty, I could live with this sensor in my X-T2. ↑ This was taken at f10, 800 ISO at 1/250s. ↑ This was taken at f8, 200 ISO at 1/350s. ↑ This is a photo taken at 1600 ISO. The settings were f6.4 at 1/125s. ↑ This was taken in the morning at f8, 200 ISO at 1/250s. I shoot RAW files all the time but for those who don’t want to bother with post-processing, don’t worry because another one of the X-A5’s strengths is the out of camera jpegs that it produces. Fujifilm cameras have always produced great out of camera jpegs, and the X-A5 is clearly no exception. The jpegs are sharp with wonderful color. I feel they lean more towards the warmer side. The jpegs are good enough that you can get away without ever shooting in RAW if you wanted to. There are even 11 film simulation modes, and 17 Advanced Filters, such as, Remove Fog and HDR Art. ↑ This was taken at f5.6, 1250 ISO at 1/250s. ↑ This was taken at f9, 200 ISO at 1/1100s. ↑ This was taken at f9, 200 ISO at 1/170s. ↑ Here’s a photo taken at f8, 1/125s at 500 ISO. The high ISO on the Fuji X-A5 is also excellent. At the lower ISO range, noise is really not an issue. A little noticeable noise creeps in at 1600 ISO but it’s nothing out of the ordinary. By 3200 ISO, there’s a bit more but files are perfectly usable. Even 6400 ISO produces decent files, which are totally usable. Anything above that though would be for moments when I absolutely need it. ↑ This is a shot taken at 3200 ISO. The settings were f5.6 at 1/70s. ↑ This is a 100% crop of the photo above. ↑ This was taken at f.5.6, 6400 ISO at 1/35s. ↑ This is a photo taken at 12,800 ISO at f4.4, 1/18s. As for the XC 15-45mm f3.5-5.6 OIS PZ lens, it is the first electric powered zoom for the X Mount. It’s plastic, and it doesn’t really feel like much but the optics are good. It might not be one of Fuji’s top tier zooms but it does the job well. I feel the optics are better than a lot of the kit zooms that you would normally get from an entry level camera. I purposely tested the Fuji X-A5 with only the zoom while I had it (all the photos in this review other than the product shots were taken with the kit zoom), and other than the electric power feature being a little annoying, I was happy with the results. It’s a sharp lens overall throughout the focal range, and I didn’t encounter any major issues like excessive flare or anything. The X-A5 has a great retro look to it. The camera has a clean overall layout. the included zoom is decent. Autofocus isn’t as good as I expected. Some of the electronics are sluggish. Overall, the Fuji X-A5 definitely has its strengths but like all cameras, it also has its weaknesses. For one, it does look great appearance wise. It’s also pretty straightforward to use. It’s X mount, so you get to use all the great little X mount lenses. It’s main strength to me however, is its image quality. You could work on RAW files like me but the beauty here is that if you don’t want to bother with post-processing anything, you could shoot in just jpeg mode and still produce excellent results all the time. In this way, it is great for a beginner who may not necessarily want to jump into a program like Photoshop yet. Best of all, the zoom that’s included is a great little lens. The X-A5’s main weakness to me is some of the electronics. Like I said before, the autofocus is okay but while there are worst out there, there are also ones in its class with better systems. The autofocus definitely has its sluggish moments. If you’re constantly shooting fast moving subjects, this may not be the camera for you. I also had issues shooting in dim light. Lastly, electronics like the menu felt sluggish to me at times. My verdict is that if you’re looking for something in this class of camera that will produce great image quality, and if your situation allows for a bit more patience for a camera with a slower response, then the X-A5 might be worth it to you. Just the X-A5 kit alone can produce excellent images, so imagine how it would be with some of the other fantastic lenses in the X series collection :). Thanks for taking the time to read my review! If you’re considering purchasing the X-A5, and my review helped you decide, please help support this site by purchasing from any of the links in this review. It will not cost you anything extra. Thank you for your support! Thanks and apologies for posting the review so late. I know you were thinking about this camera for a while. I didn’t use the X-A3 but I was a little surprised Fuji said the X-A5’s autofocus is twice as fast. During the day, static shots are okay but at night, I was quite surprised at how difficult it was to focus the camera. Image quality is really good though; an EVF on this camera would be great for manual focus (like you mentioned). Have you ever thought about the Pen-F? I have one that I use to test M43 lenses, and it’s a pretty fun camera to use, and the images are great. Hi Patrick, I have tried pen-f and it is a handsome camera. I don’t like Olympus buttons in general, they don’t give me confidence. Also I think it is still too expensive here in the UK for what it is. Panasonic g80 is slightly dull looking and a bit bigger but the images will be great as I used to have gx85 before with the same sensor. Also the grip and buttons, dials are just right on g80. The evf is big too unlike gx85 or even pen-f if I remember correctly. Apologies for the late reply! There are a lot of buttons on the Pen-F, and the menu is insane lol. I just love the look of it though :). I’m currently working on my SL lens reviews. I’m changing things up a bit, and these reviews will have a lot of portraits. Man, you loved that X-A3 didn’t you :)? If you don’t mind me asking, what RAW processor are you using? If it helps, I’ve had better luck with Capture One and the X-Trans stuff. You are too kind! I’m no expert but if you ever need help, let me know. You should give X Trans another go. Try out Capture One. I pretty much do all my RAW processing through Capture One, and then sometimes run my photos through Photoshop if I need something done that I can’t do in C1. I also heard good things about Luminar. Another reader processes his X100F files through it, and says he loves it. Did you use the new firmware with the x-a5? It improves on the speed and accuracy of the autofocus among other things. Apologies for the late reply! The X-A5 was a loaner, and I returned it a long time ago before the firmware was released. So, I didn’t get a chance to try it with the update.